Imagine strolling into a stadium filled with more than 70,000 people, performing for a worldwide television audience of over 100 million people and sharing the stage with one of the hottest bands of the new millennium. 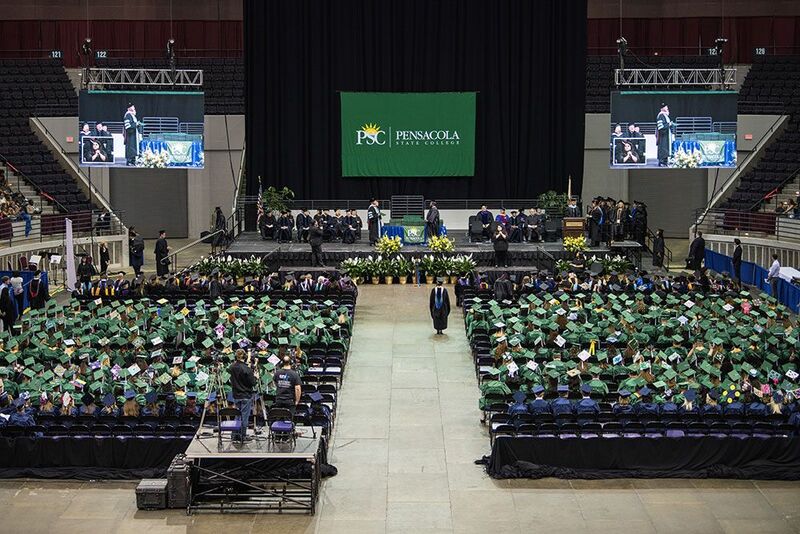 For one member of the Pensacola State College family, that dream became a reality on Sunday, Feb. 3. “It was a once-in-a-lifetime opportunity,” said Zack Blessing, a 2017 Pensacola State graduate and a graphic artist in the College’s marketing department. 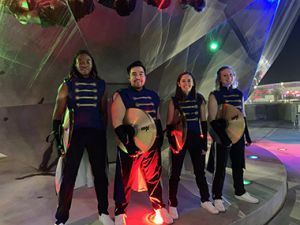 Blessing and 31 other musicians comprised the drumline that joined Maroon 5 during the halftime show of Super Bowl LIII. Blessing played the cymbals with the group, Equinox Percussion, a world-class non-profit young musician ensemble based in Atlanta. Despite a fortune cookie message that he opened a month ago telling him, “An unexpected windfall will be yours,” Blessing said he was surprised when he got the call and the invitation about two weeks ago. Blessing and his group practiced the weekend before the event and again over the three days leading up to the Super Bowl. Blessing, who was an Escambia High School band member, now works part-time as a teacher for the Pace High drum line. He said he wasn’t nervous leading up to the event. Aside from performing, Blessing also mentions the personal connection he felt with the production’s organizers, who coordinated with thousands of individuals to create a seamless show. “Even when the days were long and things went wrong, they were extremely positive and professional,” he shared. Blessing said it was also an honor to work with Hamish Hamilton, who has directed the Super Bowl halftime show since 2010 and lists the Academy Awards, the MTV Music Awards and the opening and closing ceremonies of London 2012 Olympic Games among his credits. “Hamish even gave me a fist bump!” he said. Even though he refers to his halftime performance as a once-in-a-lifetime opportunity, Blessing said he would jump at the chance to do it again.